Your Membership Helps Classmates Connect With Each Other! Just Fill Out Your Profile To Join! 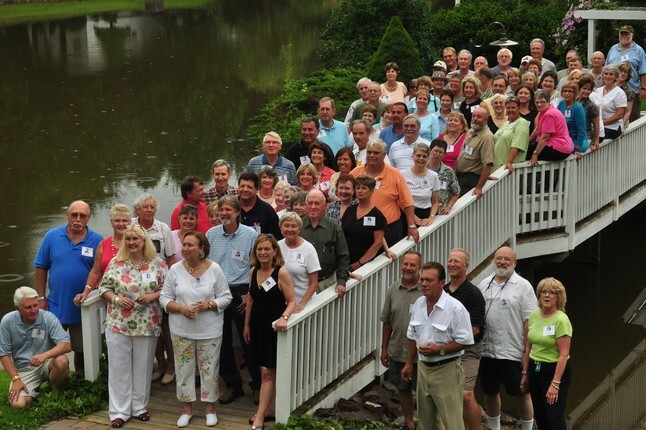 Our membership levels recognize all of the contributions made by thousands of Albemarle classmates who participate in the Association.. The Alumni Association is all about making connections and we think of anyone who fills out their profile as a "member". Just look up your name in the AHS Alumni Profiles section and sign up today. Surveying 500 alumni about their reunion preferences and summarizing the results online. Providing an In Memory Section to remember the classmates no longer with us.